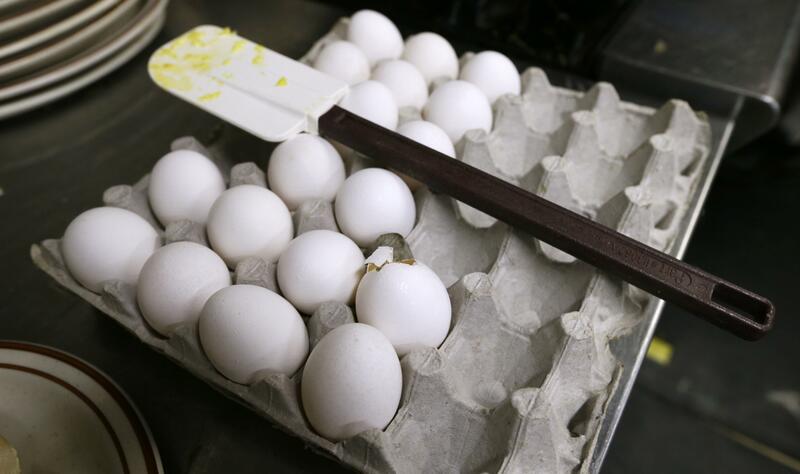 NEW YORK – The U.S. government’s latest report card on food poisoning suggests that a germ commonly linked to raw milk and poultry is surpassing salmonella at the top of the culprit list. The most common bug last year was campylobacter. It’s mostly a problem in unpasteurized dairy products, but also is seen in contaminated chicken, water, and produce. Salmonella was No. 1 for the last 20 years but last year moved down to No. 2. Other causes like listeria, shigella and E. coli trail behind. Actually, no. Last year, there were no significant changes in new case rates for most kinds of food poisoning, compared to the previous three years. The new report tallied about 24,000 illnesses and 98 deaths in the 10 states. The CDC estimates that 1 in 6 Americans get sick from contaminated food each year, though most cases are not reported. Yes. There’s been a continued decline in illnesses from what used to be the most common strain of salmonella – called Salmonella Typhimurium. That’s possibly because of vaccinations of chicken flocks and tighter regulations. WHAT CHANGED IN THE REPORT? Before this report, the CDC only counted results from traditional lab tests, which can take a couple of days. But the agency is now including results from new rapid tests, which check for 20 or more bugs and give results in an hour. Those tests are picking up more campylobacter but with the caveat that those might be dead germs that didn’t cause any illness. While quicker, the new technology doesn’t offer as many specifics and is making it more difficult to understand food poisoning trends. Yes. Carefully wash and clean food, and cook meat, poultry and eggs thoroughly. Avoid raw milk and unpasteurized juices. Promptly refrigerate leftovers. According to a U.S. government report, leafy greens like lettuce and spinach are the biggest source of food poisoning, and produce, in general, accounted for nearly half of all illnesses. Published: April 20, 2017, 5:30 p.m. Updated: April 20, 2017, 10:46 p.m.